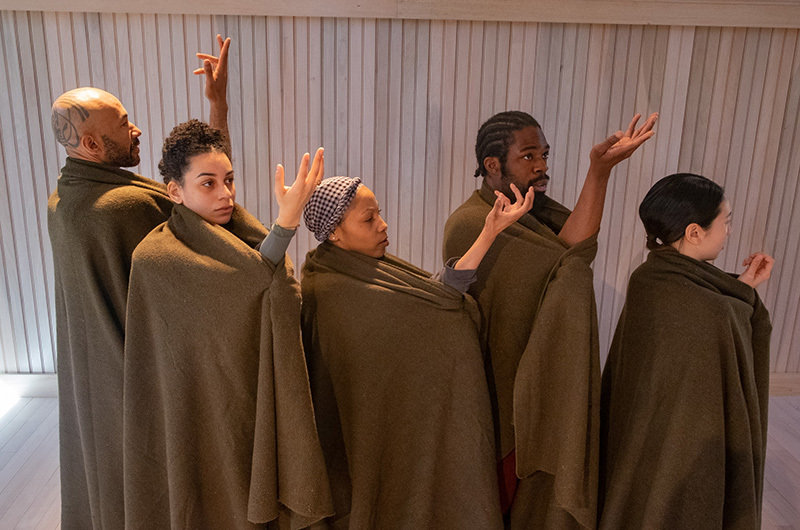 Seeds of the performance began during a Yard fellowship in 2016. Five figures enveloped in dark green blankets are sitting on the floor of a dance studio. Slowly, they awaken and emerge from their cocoons. One lays her blanket on the floor as if at the beach. Another ties it tight around her hair like a towel. Some stay covered, moving about like ghosts. Exploring the visuals of double entendres is a major theme of Ms. Batten Bland’s work, including her one-hour piece, Welcome, that will be performed Saturday at 7 p.m. at the Performing Arts Center. This will be the final performance of the Yard’s winter series. Ms. Batten Bland said the inspiration for the work came from thinking about the duality of walls; the rising tensions over building walls in society and her love of mural art from growing up in SoHo in New York city, where walls were places of artistic expression. “At first it was just research from the changing idea of what walls are, that they can be mural based and celebrate our entire community instead of being used as a vehicle for separation,” she said. 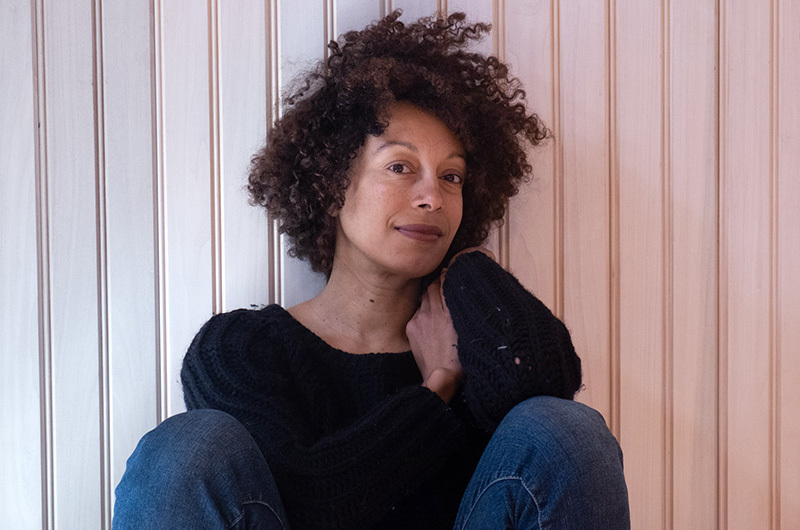 Ms. Batten Bland formed Company SSB in 2008 and began choreographing pieces that blend genres to create dance theatre that incorporates installations and the audience. Ms. Batten Bland began creating the world of Welcome after receiving the Yard’s Schoenberg Fellowship in 2016, premiering it a year later. She said it has become the company’s hit,” much of it because of how it is influenced by where it is performed. For Saturday’s show, she said the company has been working with Island school children to help populate the floor of the stage with a Vineyard-inspired mural. “I love working with every type of age group helping us design a mural of what represents the town we’re performing in,” she said. Ms. Batten Bland said she feels a “deep sense of home” when visiting the Island and is already hard at work on a piece inspired by the African American Heritage Trail called Embarked that will premiere on the Vineyard next year. She said it will continue her passion for making sense of the world through movement and inspiring audiences to choose to say “Welcome” to strangers instead of pushing them away. “It’s a lot easier to shake someone’s hand than to avoid it,” she said.